tsing yi bridge | Badudets Everything Nice! Airport Express: From HK airport to the city in 24 minutes! On our last Hong Kong trip, we stayed at a studio in Causeway Bay. Since I’m not familiar of the airport buses routes, I decided to try riding the Airport Express going to the Hong Kong station and then transfer to MTR line going to Causeway Bay. So from the airport, I bought the one-way Airport Express tickets at the counter and rode the Airport Express. It promises to bring the passengers to the city in 24 minutes. If you’re traveling with a group, you can get discounts. 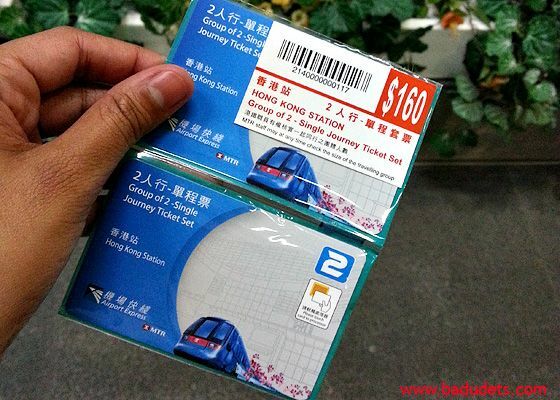 Since we’re a group of two, the two Airport Express tickets is 160 HKD instead of 200 HKD, children below 3 years old are free. The Airport Express is perfect for business travelers who don’t want to waste their precious time on the road. Riding the A21 bus from the airport takes about 45 minutes to Kowloon, while riding the train cuts the travel time in half. But if you’re a tourist like me, I still prefer taking the bus to have a better view of Tsing Ma bridge.